Well, that was a good news, but how about release date of next patch? Will we finally get performance optimalizations? How about fixed bug list? I'm betting the DLC will include a patch. This seems to be fashionable at the moment. I am glad my deluxe edition is paying off, as I didn't play early access and already have a copy of MM6. Please, please add support for more hotkeys. You can do it without any new art assets, only using a programming solution. When holding down CTL, SHIFT or ALT, a 'new' hotbar appears in place of the old one. That way we have 4 discrete hotbars for our spells/abilities, and you don't have to redesign the UI at all! I forget which game started this, but hitting SHIFT+1, CTL+9, etc to access different hotbars, and seeing the hotbar change, is a natural solution to being limited to the 0 - 9 num keys. I hope they implement this, it's a simple usability tweak that goes a long way to making the game more inviting, without dumbing it down. M&M X on a new platform is always a good thing, but I am even more glad to see that we'll be fighting Haven troops for once. Dark magic casters were nearly omnipresent past chapter two, and that made the final dungeon feel like a chore. Fix battle music. Sometimes it goes in an infinite loop and it is played simultaneously with other tracks. Annoying like hell. So will this be an add-on to current Act I-III content or will it be an Act V and beyond that extends the storyline into new territory, both plot-wise and geography-wise? Will we have someday a real-time based MM game, 6 member pary, possibility to build our own castle like in previous games (the last 2 questions are the most important to me) ? A real-time combat system would be such a huge step backwards compared to the really fun, well thought out TB system Legacy has... The only thing that it lacks is a "retreat" option. Agree with the rest of your points, though. I also think a real time combat system is a step back and it doesn' t fit for MM and yes a retreat system would be kind. Horsehoes might help to try make use of more skills. In order to prevent exploitation of that feature you could implement a skill level cap up to which they can be usedlevel 10 (i.e. you cant improve a skill with horseshoes in which the character reached level 10). Will the saves work with the new DLC? This is great to get DLC so soon after launch. What is the overall roadmap and business plan for additional DLC/Expansions for MMX over the coming years? 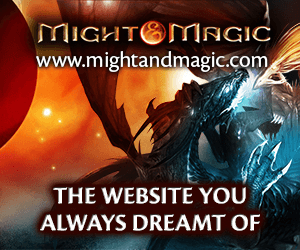 Is there a plan for a Might and Magic XI? I think we´ll be lucky if Ubi/LE will fix at least 90% of errors. If we are extremely lucky, then there will be Might & Magic XI. What time does the DLC go live? very good question!!! iam w8ting for that since morning! I get a pop up saying it is available after I quit the game but nothing happens when I click on it other than it takes me to the shop. Searching for it on the shop draws a blank. Great.! I think it is meant to auto update through Uplay but not working for me. I don't even get the popup. Been trying since midnight local time. 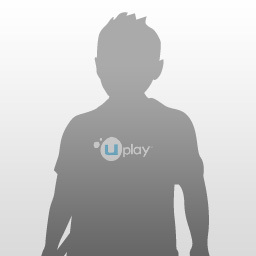 Hell, all who bought game have Ubi(Uplay) account, but I have not received any mail about update of game or DLC being available. I wonder what is their marketing department doing? As for pop-up in uplay - try to run game it should pop with update in size of about 1,5 - 2GB. Thats disgusting. DLCs is out, but there are no bugfixes - obvious and easily repairable bugs are still present, loading takes longer despite replacing shantiri wheel with static wallpaper (which I already have as desktop theme). Would it kill Ubi/LE to repair things? When is the Mac version gonna be available?